Part 2 of Chrome Extensions that will help you do more with your SEO work. The first SEO extension I’ll be covering on today’s post is called SEO Site Tools, which contains a wide array of SEO information related to whatever page you are on in Chrome. This extension has a pop up window when you click the magnifying glass that shows various on-page and off-page SEO elements including backlink information, social media stats, Google PageRank, page speed load tests and even suggestions for optimization. Although used alone this can be a great SEO tool, I tend to use it as a supplement to some of the faster extensions I covered on Friday, like the META SEO inspector. 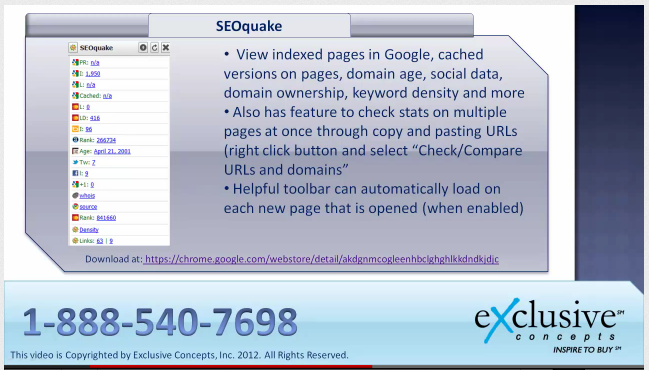 Another helpful tool that also looks at external link data in addition to more general site info like domain age and owners is called SEOquake. In addition to link and domain data, SEOquake also has a very helpful feature that lets you evaluate stats of multiple pages at once, which can be very useful when conducting site-wide audits. 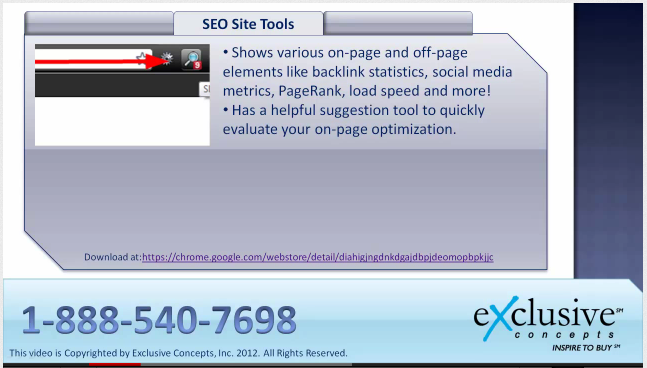 The toolbar is also allows you to view the page data on a pop up each time you load a new page. This can also be helpful when evaluating several pages your site or your competitors. 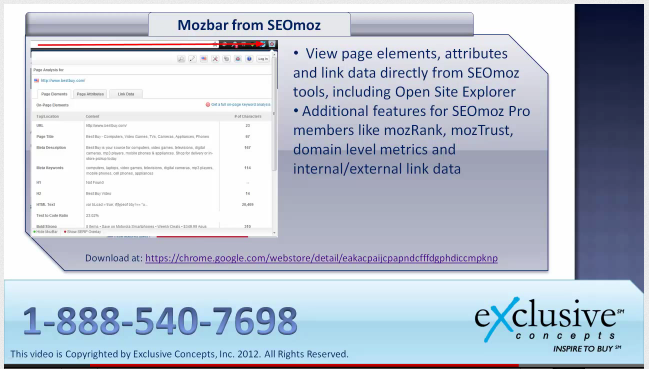 The final extension I’d like to review on today’s post is called Mozbar, developed by the SEOmoz team. Like some of the other extensions covered today, Mozbar also provides helpful on-page and off-page insights. I find this tool most helpful for the off-page link data which is pulled from Open Site Explorer, one of the most popular link evaluation tools on the web today. To get some of this data however, you must be subscribed to seoMoz as a PRO member.